Want to see what’s on offer in your area? Download the free Foodhub app and get ordering from local takeaways and restaurants near you. We’ve got a HUGE variety of cuisines that you can choose from making your takeaway night as convenient and delicious as can be! Fancy a delicious mouth-watering Indian curry, or why not try a gorgeous deep pan pizza? Whatever the cuisine, kick back, relax and let Foodhub take care of you! We’re here to take the stress away! Ordering from Foodhub using your smartphone or tablet couldn’t be any easier. Our handy little app can detect your location and display all your favourite takeaways and restaurants within seconds. Not sure if you want to place an order with a particular restaurant? We’ve got you covered! Thousands and thousands of customer reviews ensure that you get what your’re looking for. Payment couldn’t be any easier on the Foodhub app. You can pay by cash on delivery or collection, or by debit or credit card securely. You can now also save your card details and not have to manually input them every single time. Tired of not knowing if your meal is en route or not? Our meal tracker allows you to keep up to date with your meal’s progress starting from the takeaway’s kitchen until it arrives to your front door! We value your opinions and feedback highly, that’s why we listened and incorporated SSO (Single Sign On) allowing you to logon so much smoothly using your Google or Facebook login details. Ordering quickly couldn't be any easier! Placing the same order again? We’ve got great news for you guys, you can now order your regular orders quickly from your order history! We were able to find a few bugs lingering, so we squashed them. That's it for now. Stay tuned for more upcoming updates! You choose and order, then wait. You’re in for a surprise because if you’re lucky you’ll get food delivered. If the so called food hub app decides that you and your time and money is to be recklessly tossed about, they will not deliver anything. After waiting for two hours and the app showing “your order has been accepted and food being prepared”, you check with an inefficient chat help line who tell you after 15 minutes, “ sorry the restaurant is not taking orders these days, we’ll refund you in a couple of days”. This happened to me today ! Left me gobsmacked and stunned that I’m this day and age a so called service and app can be so callous and dangerously unpredictable! I’ve deleted my account today and it’s my sincere advise that you avoid ordering food through food hub at all costs ! Find any other app, find an alternative, otherwise you’d be left hungry, shocked, embarrassed and fuming after hours of waiting. The app would not show any genuine remorse and will give you a standard unbelievably rude “apology, you’ll be refunded” line. This app should be taken down by Apple, it is misleading and deliberately torturing unsuspecting customers ! Pathetic ! I ordered using this app, paid, saw the money go out of my bank, and waited. The app showed me that my order was being prepared. The app showed a saving of 20% so I was happy at this point. 20 minutes later I receive a call from the takeaway, asking if I ordered from Just eat, the takeaway number was a mobile phone number and not the landline number. They said that they are too far away to deliver and won’t deliver my food. I was lost for words, as the app did not mention anything about this. I received a call from a lady, who represented Foodhub, said that she is sorry. I said ok, but I would like a refund. She said it will take 4 hours. It is now Friday and I just contacted them via their chat function in the app, I’ve been told that they are sorry (again) and I have to contact the takeaway for a refund. I have tried calling the takeaway many times and no answer. I am out of pocket. Stay away from this app! Turns out ordering via this app is cheaper than ordering via JustEat! My fav Take away provides 20% discount when you order via Foodhub! Scrolling through the app it would seem that all my local takeaways are listed and offer straight percentage discounts when you order on Foodhub! 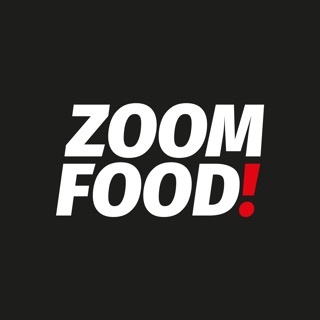 If you want your fav local food for cheaper then order via this great app!